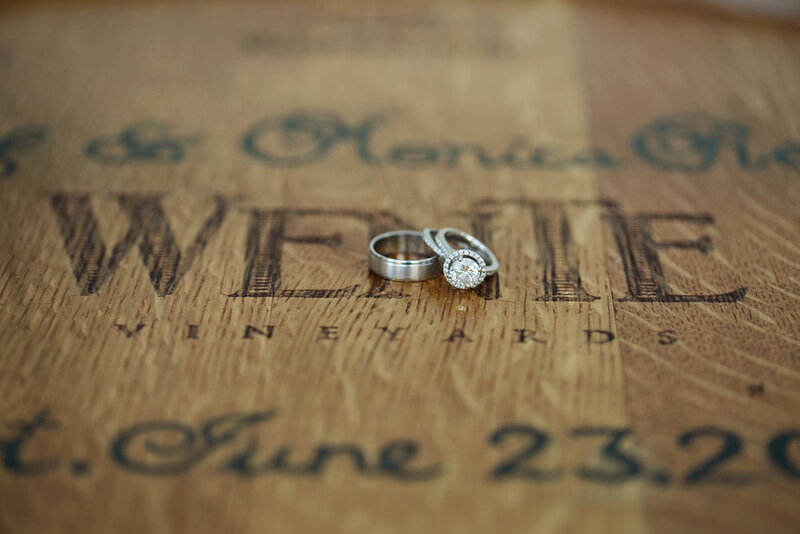 Romantic rustic summer wedding at Wente Vineyards in Livermore California. 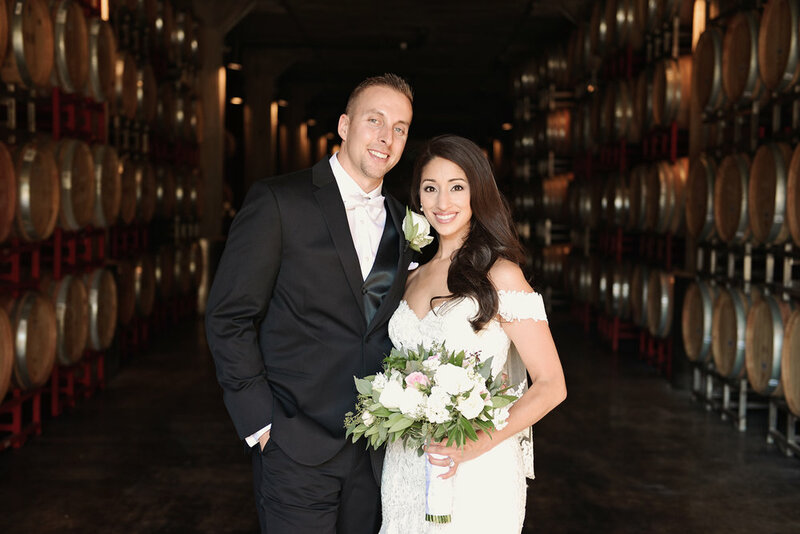 Lush greens, soft whites and pinks, gold sparkle and shimmering candle light made this wedding a romantic and elegant affair. 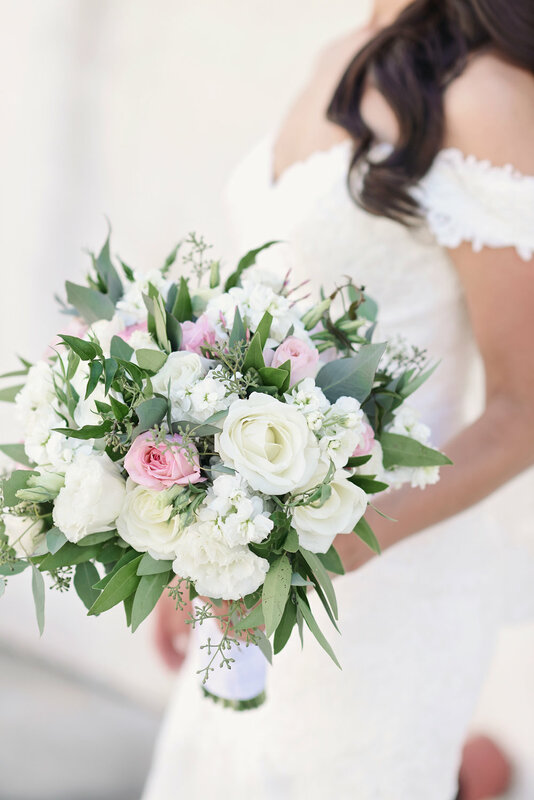 The stunning bride carried a rustic bouquet full of greenery, white flowers and a pop of blush pink garden roses. 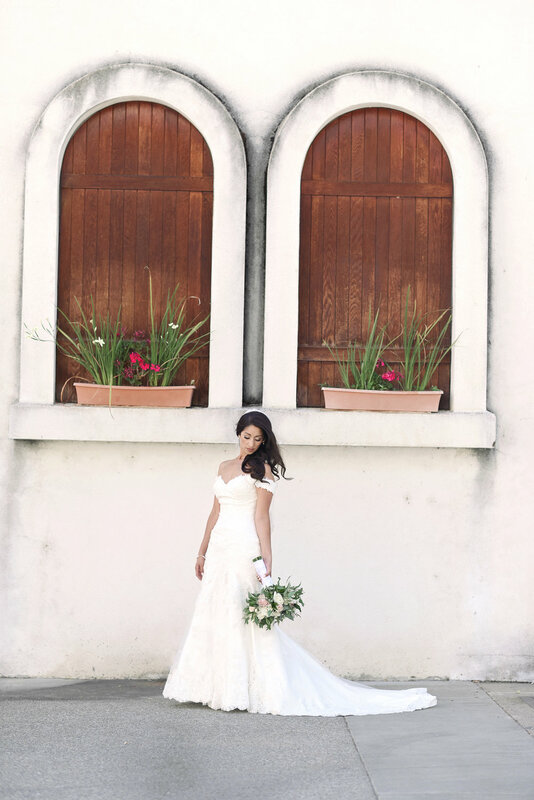 Her bridesmaids wore ivory dresses and carried bouquets with all white flowers and lots of greenery. 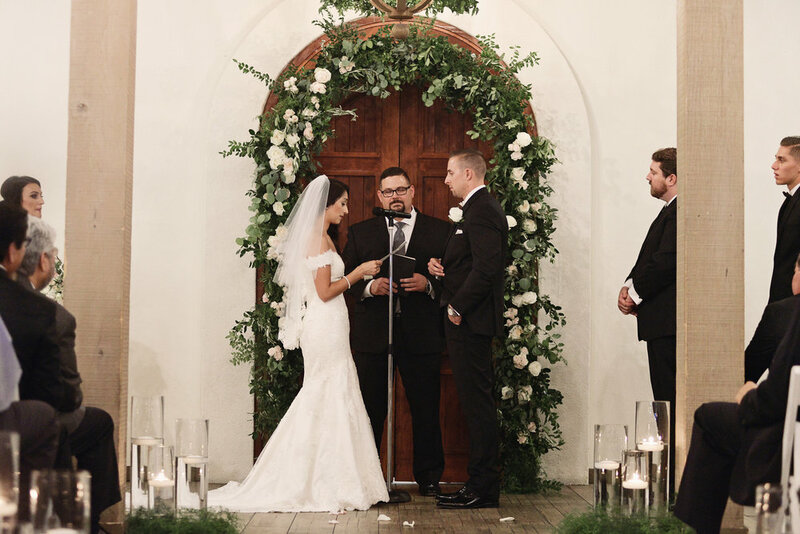 The ceremony held inside the Cresta Blanca Event Center was beautifully decorated with lush greenery and candle light. Our Flower House rounded Altar was overflowing with greenery including huckleberry, olive, and silver dollar with tucked in white flowers of roses and spray roses. The aisle was adorned with clusters of cylinder vases with floating candles surrounded by smilax garland. The chandeliers above the aisle were dripping with smilax garland. The reception held outside on the terrace lawn was beautifully elegant. Gold candelabras by Pleasanton Rentals were surrounded by bud vases spilling with flowers, and low lush arrangements in gold glass cylinders were centerpieces for guest tables. The lovely photos were captured by Cassy Smith Photography.